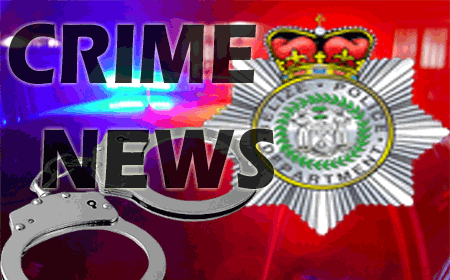 COROZAL TOWN–Elton Coba, 30, of Louisville, Corozal District, was given a 7-year jail sentence for burglary and handling stolen goods on Monday in the Corozal Magistrate’s Court when he appeared before Magistrate Hurl Hamilton, who arraigned him on the charges, to which he pleaded guilty. Police said that on Friday, Coba was captured by Alfonso Alamilla and his family, the angry owners of the house in Cristo Rey Village, which Coba broke into and from which he stole the family’s jewelry. The family held him captive and handed him over to police, who, when they searched him, found two gold medals with Jesus Christ engravings valued at $120, one gold double-link bracelet valued at $300 and a pair of gold earrings with leaf designs valued at $60 – all of which had been stolen from Alfonso Alamilla’s home. Alamilla told police that at about 11:00 Friday morning, while in Corozal Town, he received a message alerting him that his home in Cristo Rey Village was being burglarized. On his arrival at home, he found that his house, which he had left locked, was open. Alamilla immediately began to drive around in the village, and at the junction of San Pedro Road and the Philip Goldson Highway, he saw the man that fitted the description of the man seen by neighbors coming out of his house. He immediately tackled the man and held him down until police came. Police recovered all the stolen jewelry.